It seems like I can never get sick of blue polish, but who's complaining? I've tried two of the six Thakoon for NARS nail polishes, but only photographed the baby blue Kutki because my feet are in a horrible state. I always wonder how models keep their feet so unblemished, especially with the amount of heels they have to wear on a regular basis. Anyway, I'm not sure if I can give Kutki a fair review. My bottle was a castaway from a photo shoot and by the time I used it the polish had thickened. It applied streaky for the first two coats and only evened out on the third when I piled it on. On the other hand, I applied an unsullied bottle of Anardana on my toes and it was perfect in two coats, so I think it's just my bottle. 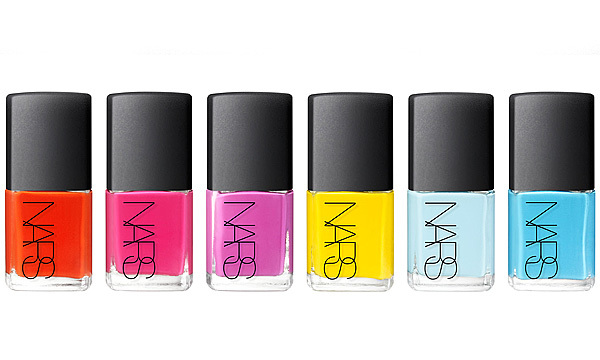 The Thakoon for NARS Nail Polish lineup features an array of six bright creme shades perfect for summer. If I had my way, I'll have one of each. Thakoon for NARS Nail Polishes retail for $18 and is available at narscosmetics.com. So pretty! I absolutely love this whole collection and want each polish! I'd have one of each, too. That is a gorgeous, gorgeous baby blue. I want it. It's a pretty blue! But I have not found a light blue that doesn't apply streaky yet. I need to go to a NARS counter to check out the rest of those though! 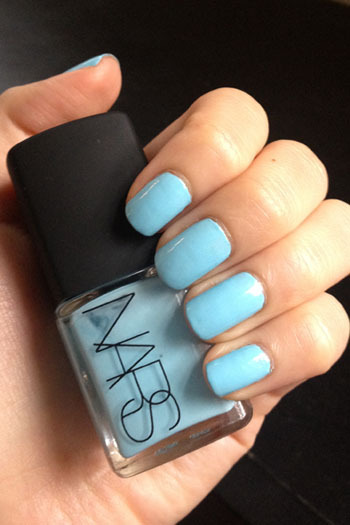 Hi Xiao, what a pretty blue :) I haven't tried NARS Thakoon yet. The one color I really want is Lal Mirchi, which seems to be harder to get. I love the idea of a castaway bottle. Even if the formula may have become streaky, the history makes it more fun! Goooorgeous shade!!! 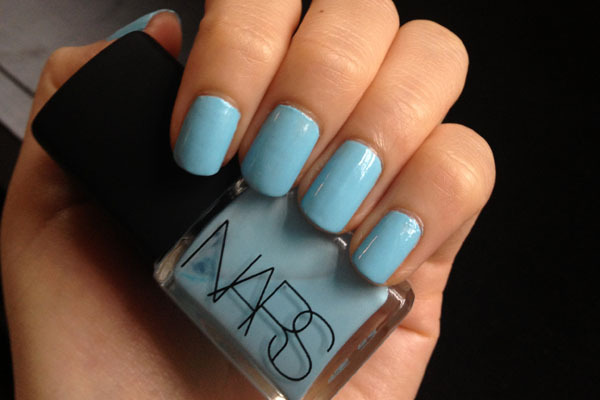 I'm not into blue polishes but this is beautiful!